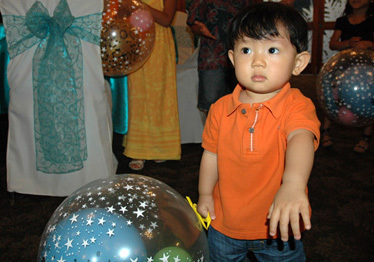 My balloon experience began with an interest in balloon twisting. Learning from books and making balloon animals for family events was my passion. I worked for another balloon company for about 8 years gaining further experience in balloon characters and also performing at various restaurants table-to-table. In 2006, I branched off into balloon decorations, consisting of balloon columns, archways, table centerpieces, basic balloon decor packages, etc. Then, in 2010, I decided to start my own business and combine my skills in balloon twisting and balloon decorations to create my own style of decor. In 2012, I put together a team, and Stuff A Bubble was born. Our unique party activity created by us for our customers. It has grown to become Hawaii's most popular party activity today. In 2015, we have expanded our Decor and Stuff A Bubble to the Las Vegas Valley and excited for our new adventure.